Here are some of the reviews from far and wide! We are blessed to be visited every year by people from around the globe and especially those from Euskadi! Eskerrik asko! Ray Kroc's genius was to make French fries taste the same everywhere. Does this concept bother you at all? It should. Americans have sadly become inured to mass-produced frozen food. Eat just one French fry at Bar Gernika, and even the most catatonic consumer will be aroused. Food Across America: Boise, Idaho....then I wandered down to the Basque Block (Boise has the third-largest Basque population in the world, after Spain and Argentina). 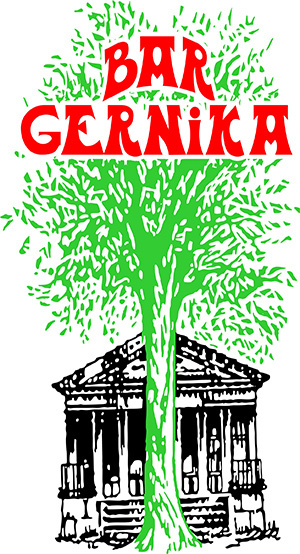 Bar Gernika is the place to stop for a ludicrously good chorizo sausage on a soft bun and piping-hot potato croquetas.